Conspiracy theorists believe Elvis is still ALIVE and even signed his own death certificate. A letter between The King to US president Richard Nixon might hold the key to unravelling the 42-year-old mystery. Elvis’s death certificate has now been made public with conspiracy theorists saying the document proves a vital link that the legendary rock and roll star did not die on August 16, 1977. In the letter to Nixon written in 1970, Elvis asks the president to make him a Federal Agent at Large and then signs off with his signature. Handwriting experts have carried out an analysis of the signature on the letter and the one on Elvis’s death certificate and suggest the writing was by the same person. Footage of a 1990 documentary has re-emerged after Elvis’s death certificate was recently released to the public. Gail Giorgio, who wrote a best-selling book called Is Elvis Alive, says in the programme the two documents are crucial pieces of evidence The King faked his own death. She appears in the documentary – The Elvis Files – holding a letter in her hand and a copy she had obtained of Presley’s death certificate, The Daily Star reports. Ms Giorgio says the evidence is “mind-boggling” adding: “If I check this letter against Elvis’ death certificate, which had to be filled out after he died, I would find out he filled out and signed his own death certificate. As part of her inquiries, Ms Giorgio sent the letter, the death certificate and two medical reports to a graphologist to examine. Paul Weist, the expert she sent the documents to, claims the writing slant, letters and size of the writing were all the same. 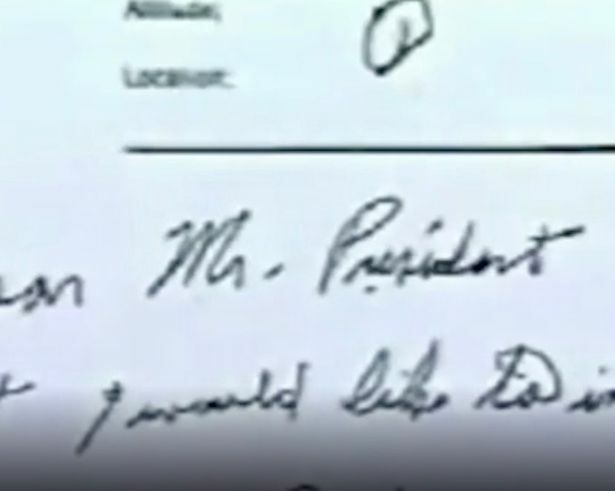 In the documentary clip, Mr Weist says: “I examined these two documents by measuring the slant of the handwriting, the spacing between the letters and between the words. He put transparent copies on top of each other to look more closely at the writing. 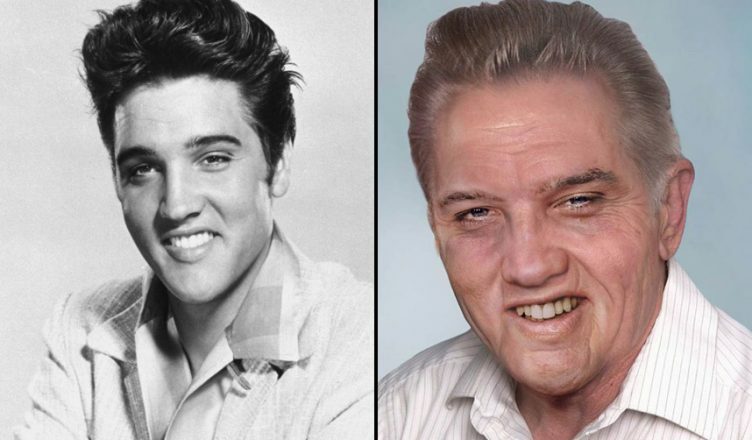 The new evidence is the latest in a line of recent discoveries adding weight to the theory that Elvis is still alive. A secret recording recorded four years after his funeral emerged last month of a man claiming to be a cultural icon talking about life on a remote island. Die-hard fans claimed the voice of the man was identical to Elvis’s and proved that he faked his death to get out of the public eye. His wife Priscilla recently gave an interview to Oprah Winfrey in America claiming she had talked to her husband “the other day”. The King, as he was commonly referred to, was found dead in his Graceland bathroom, having fallen off his toilet and attempted to crawl to the door for help. He was morbidly obese, having feasted on a diet of his favourite banana, peanut butter and bacon sandwiches, and was suffering from poor eyesight, high blood pressure and an irregular heartbeat in the months leading up to his death. Other theories about The King’s death include that he committed suicide, he went into hiding, was picked up by helicopter after faking his death, changed careers to become an acting extra, he was connected to the Mafia and had to escape the mob and his mispelt tombstone – where his middle name was spelt Aaron rather than the correct way, Aron. In this situation nothing would surprise with the greatest of them all. Remember he was and still the best of the best as far as the music world, entertainment industry goes. Wouldn’t blame EAP 1 bit if this is true to protect his privacy and to just have an ordinary life outside the bubble. Even I’d do this or anything to protect myself and family in his previous situation. Long live the best of the best. No peers and on top of the cherry tree. His record speaks for itself.